Uploaded Table is a Report Widget that allows you to add your own custom data in a table format alongside your other Report widgets. You can use CSVs and Google Sheets as your sources. More on the specifics of using a Google Sheet here. What are some common reasons to use external data? Complementary Data: Add more meaning to your Dashboard by including data from other sources such as Salesforce. How do I set up an Uploaded Table? Step 1: Format your data in the first tab with columns with headers in the first row. If you have any extra rows at the top of your sheet it won't be properly formatted in Report. 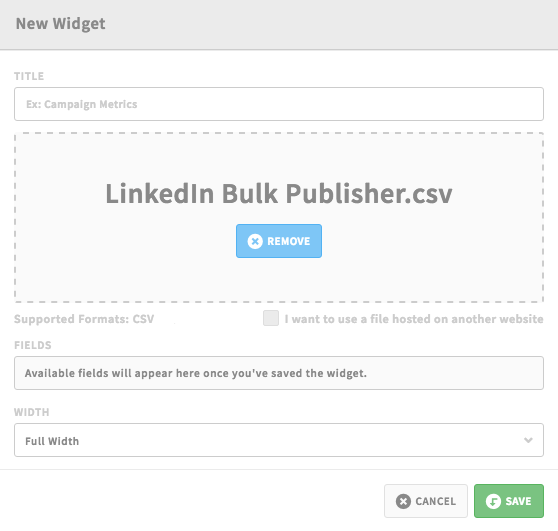 Step 2: Save your work as a CSV. 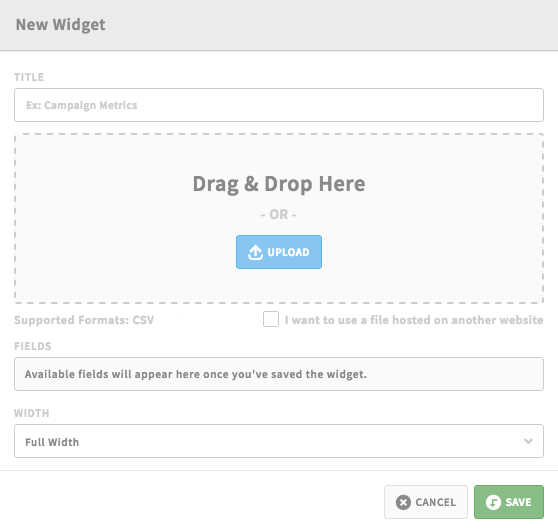 Step 3: Either drag your file to a Report dashboard, or select your file by choosing the Uploaded Table widget. Step 4: Voila! You've now added custom data to Report.